Rentalorry’s furniture movers are professional and reliable. We provide only top quality service, can move home and office furniture. Get a quote from us today! Moving furniture can be a huge hassle. After all, it is huge and bulky and if not handled properly, may cause permanent damage to your furniture. This is why we always recommend people to engage in the services of furniture movers to help in the moving process. At Rentalorry, we understand that your furniture is precious and needs to be treated with a lot of care. You can be assured that your furniture is in good hands with our movers. We wanted to move our furniture to the states and were looking for a reliable company to help us because we didn’t want our furniture to get lost or get damaged. We read quite a lot of good reviews for Rentalorry so we decided to go with them. There was quite a lot of paperwork to get them but they settled everything for us. They were also able to get the furniture there safely so we would definitely use their services again. We had already moved most of our stuff to the new place but we couldn’t find a van to transport the larger furniture like the sofa, refrigerator and oven. We contacted Charlotte and she sounded friendly and professional over the phone and the price was alright too. The move went smoothly, my entire family was okay with the service and we have no complaints. Would recommend anybody who is looking for furniture movers. Create A List – By creating a detailed list of the heavy furniture that needs more and the dimensions, the movers will have a better idea of the type of equipment that they require. It would be best if the furniture movers come down to take a look at the exact items that need moving so that they can give you a better quote. 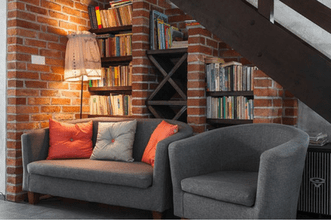 Clean The Furniture – Don’t create extra work at your new place! Take the chance to properly clean your furniture so that you do not have to do it again at your new place. Empty Out All Furniture – Using storage bed frame? It would be a good idea to empty out all the contents before moving because extra load in the bed frame makes it harder for the movers. In addition, the extra load may damage the bed frame as well. Dismantle Larger Furniture – If possible, dismantle the larger furniture so that they can be transported easily. Furniture like tables and chairs can sometimes be easily dismantled. This will allow for easier moving and also prevent damage to your furniture. Wrap The Furniture – Our movers will properly wrap your furniture with moving blankets and cling wrap to prevent any scratches or dents to your furniture. If you wish to have additional protection, you can also wrap and protect your furniture with additional layers of plastic wrap. Such a service is easily accessible, but with Rentalorry, you can have our guarantee that our services are one of the most affordable in town! We have no hidden costs, and we can assure you that you our incredibly friendly and professional staff will make your money worth every cent! Trained and well-equipped, our experienced furniture movers pride themselves on their fast service. We understand how slow and sluggish the moving process can be, and here at Rentalorry, we completely understand that frustration. You can thus have comfort in our efficient service, and you will be surprised at the speed of our moving service. At the same time, Rentalorry believes in upholding safety throughout the moving process. We have in place, many safety policies and strategies to ensure that your furniture is transported safely, without any injuries or damages. We ensure that all the furniture is wrapped, packed if needed, and moved properly. A quick inspection will also be done before and after we move off your furniture to ensure no damages are done anywhere.